If you woke up today and decided to buy a 707-hp Dodge Challenger Hellcat or Dodge Charger Hellcat, your options would be limited and expensive. There’s basically none available at Chrysler’s original $58,295 sticker price; if you’re willing to pay the dealer markup, you might find one starting around $70,000, with used ones going for a little (but not much) less. Earlier this year, a bone-stock 2015 Challenger Hellcat sold at auction for $110,000; two more are set for a collector auction next month in Reno. Today, Dodge revealed several moves aimed at satisfying Hellcat demand, including more than doubling production for 2016. But as part of that process, some 900 customers who thought they were getting a Hellcat this year will have to wait a little longer — and miss out on that first-model-year pride. Dodge executives said today the company had scheduled the last runs of 2015 models at the Canadian plant that builds the two models. It will re-open the order books for dealers in August and again in February, with new rules that specify exactly how many Hellcats a dealer can order in 2016. Those dealers that did the best job of moving Hellcats will get more; those who bought a few and slapped $20,000 markups on the sticker hoping for a sale will get penalized. By doubling production to roughly 8,000 Hellcats, Dodge aims to knock down some of those vigs that individual dealers had demanded. Dodge spokesman Dan Reid said the factory will cancel some 900 orders that had been sold but not built for 2015, offering those customers vouchers good for 2015 pricing on 2016 models, which will get an unspecified price hike. The 2016s will hit dealers late this year. From what’s been said so far, the changes should make 2016 Hellcats a little easier to find — but by canceling the 2015 orders it had, and building something less than 4,000 copies, those first-year models may find a permanent seat at collector auctions soon. 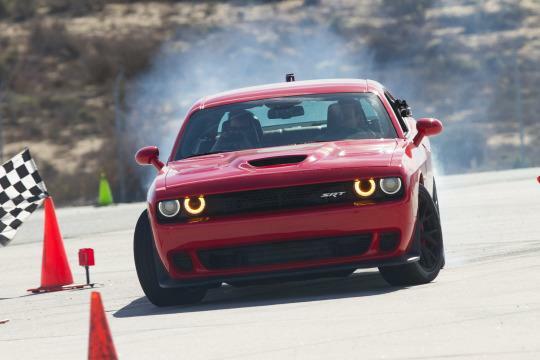 Cool, penalizing dealers who sold their Hellcats with unnecessary mark-ups.